Nike’s iconic Hyperdunk series is inarguably one of the sneaker industry’s most influential basketball lines, as it has helped shape the direction of on-court footwear for ten years. Utilizing a Zoom Air cushion unit for comfort as well as a lightweight and breathable upper, it comes equipped with everything it needs to be one of the most formidable pieces of basketball equipment a hooper can buy. 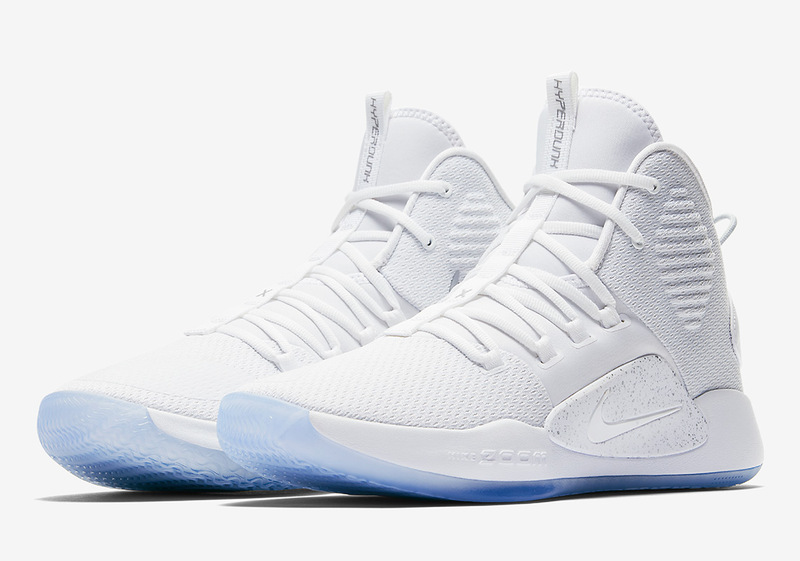 After a slue of colorful iterations have been revealed, the Swoosh is ready to add Pure White to the Hyperdunk X, creating an angelic aesthetic that is broken up only by an icy outsole unit. For those who love balling in the Hyperdunk but do not feel any attachment to a particular NBA team, this is the perfect pair for you. Peep an official set of images for this crispy Hyperdunk X below and stay tuned for release updates as well as to the next NBA season to see new colors on the feet of NBA players the likes of Draymond Green and Karl Anthony Towns.